Birch (Betula spp. ): growing, planting, caring. Did you know? 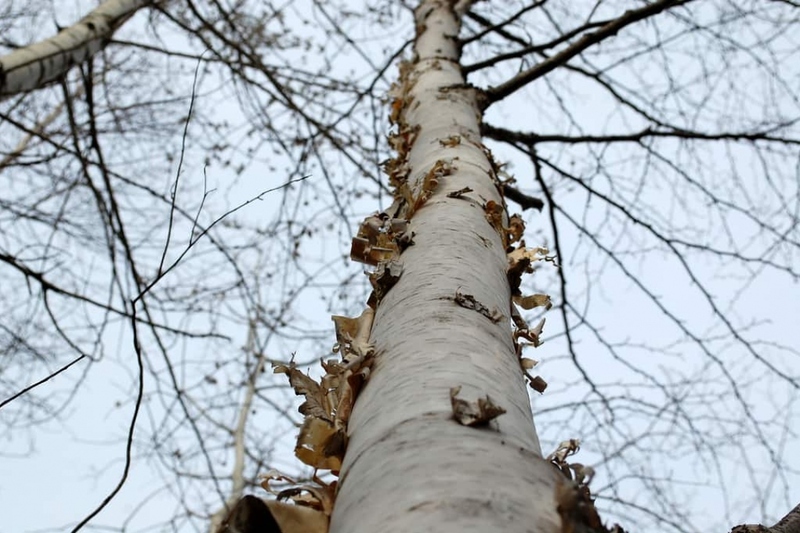 The bark of all birches is marked with long, horizontal lenticels, and often separates into thin papery plates, especially upon the paper birch. Distinctive colors give the common names gray, black, silver and white birch to different species. Scientific name : Betula spp. Full description for Betula not yet available. Birch leaves are simple, alternate, and toothed, often oval. These trees grow from 5 to 25 m high depending on the species. The flowers are separated into males and females, but borne by the same plant. The male flowers are pendant yellow-brown catkins, while the females are erect and then pendulous, shorter. They are also distinguished by their smooth bark which is sloughy, often very clear, sometimes brown or reddish. Plant your birch in well-drained or dry soil, in the sun or in the shade. Plant preferably in winter, in bare roots or in mound. Dig a hole deep enough, twice as large as the root ball, without mixing the layers of the soil. Plant a solid stake at the bottom of the hole, on the edge, inclined to the prevailing winds. Cut the root hair - the fine roots that looks like hair - to balance the volume of roots and foliage. Plant without burying the boundary between trunk and roots of the tree, putting the soil layers in the same order you removed them. Tamp the soil around the roots with your foot, so you do not leave a pocket of air, and attach the stake to the trunk with a suitable extensible link. Form a hollow in the soil and water abundantly until you fill it. Water regularly and generously for several weeks after planting or sowing, especially if you did it late in the season. To help young birch trees, it is better to limit grass competition to their base. We advise you to mulch it with dry leaves and shredded branches. Renew this mulch once or twice a year. Your tree should be well rooted after two years, so remove the stake now that it is not needed anymore.